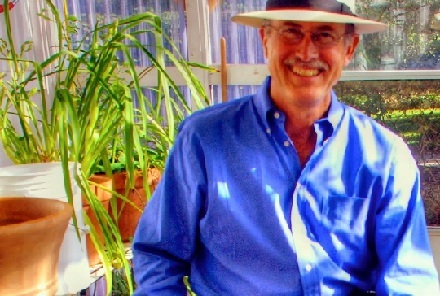 Dallas-based organic-gardening, lawn-maintenance and tree-health expert Howard Garrett has been Dallas' own premiere organic guru forever and ever, but now, thanks to a continental radio hook-up, he belongs to the entire nation. If you're traveling and can't miss a show, go to his website for a national list of radio stations that carry him. There are some people who listen to Garrett who don't even care about gardening. They just tune in to hear him rip Texas A&M and the big chemical companies. If you took Rush Limbaugh, made him a nice guy, gave him a brain, put him on a strict diet ... oh, forget it. There's nobody else like Garrett. What is a curmudgeon anyway? A lot of people think it means a crusty, ill-tempered old man, but Jon Winokur doesn't agree. A curmudgeon's reputation for malevolence is undeserved. They're neither warped nor evil at heart. They don't hate mankind, just mankind's absurdities. They're just as sensitive and soft-hearted as the next guy, but they hide their vulnerability beneath a crust of misanthropy. They ease the pain by turning hurt into humor. They attack maudlinism because it devalues genuine sentiment. Nature, having failed to equip them with a serviceable denial mechanism, has endowed them with astute perception and sly wit. Thank you Jon - I think! To discuss this newsletter or any other topic, tune in 8am -11am CT the Dirt Doctor Radio Show. The call-in phone number is 1-866-444-3478. Listen on the internet or click here to find a station in your area.